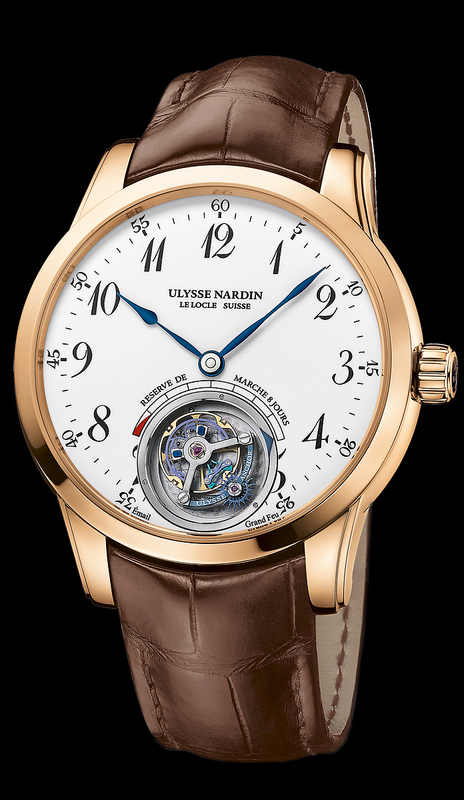 Ulysse Nardin Anchor Tourbillon 8 Day Power Reserve Limited Edition to 18 pieces worldwide. Red Gold 44mm case, 8 Day winding Tourbillon movement, white enamel dial with 8 day power reserve indicator, and exhibition sapphire glass back. Available on elegant alligator leather strap with rose gold folding buckle.